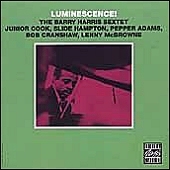 "More than Hank Jones or Tommy Flanagan, Barry Harris is a pianist you pop your fingers to." Barry Harris was born in Detroit in December of 1929; his mother was a church pianist from whom he learned his first piano piece (a church tune) at the age of four. After this early start came private study and then the high school band, with a growing interest in jazz dating from about 1944. Not too long thereafter he won first prize in an amateur show at the local Paradise Theater, solidifying his decision to turn pro. 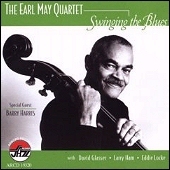 Over the next several years Barry developed into the city's top piano man, working with such native talent as Thad Jones and Billy Mitchell, and playing on the Detroit engagements of such passers-through as Lester Young, Lee Konitz and Sonny Stitt. In the early '50s he worked locally with Miles Davis for about three months. And for one memorable set one night he sat in with Charlie Parker--whom Harris names, along with piano greats Art Tatum and Bud Powell, as the most important formative influences on his style. At The Jazz Workshop, Riverside. 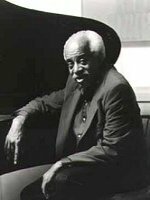 Barry Harris began studying piano at the age of four, and was strongly influenced by Bud Powell, Thelonious Monk, and Charlie Parker. While still living in Detroit he worked frequently with Thad Jones, Miles Davis, Sonny Stitt, Wardell Gray, and Max Roach. By 1956 his reputation as a performer and articulate teacher of bop was such that visiting artists from new York and elsewhere frequently sought him out for his musical insights and camaraderie. He joined Cannonball Adderley's quintet in 1960 and soon afterwards moved to new York, where he performed and recorded with such musicians as Dexter Gordon, Illinois Jacquet, Yusef Lateef, and Hank Mobley. From 1965 to 1969 he had a productive association with Coleman Hawkins, and from time to time he also led his own groups. In 1982 he opened the Jazz Cultural Center, where he has been active as a teacher. Harris is unquestionably the foremost exponent of the music of Powell, Tadd Dameron, and Monk, and is one of the few jazz musicians of the late 20th Century who can teach and play the music with equal clarity. --BILL DOBBINS, from The New Grove Dictionary of Jazz. A selected discography of Barry Harris albums. At The Jazz Workshop, 1960, Riverside. Chasin' The Bird, 1962, Riverside. Plays Tadd Dameron, 1975, Xanadu.